May | 2015 | Another Beautiful Day in Paradise! 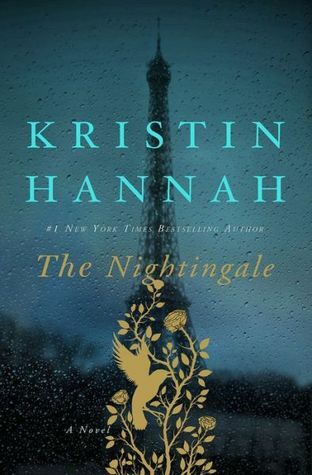 At Mrs. Poolman’s suggestion, I picked up The Nightingale by Kristin Hannah after Mrs. P had finished it. I had some initial doubts, since I suspected it was “chick book.” In fact, it probably is, but there were enough other plot elements to keep me interested. The book is the story of two French sisters living in Nazi-occupied France during World War II. Each in her own way resists the Germans. When they were young, their mother died and their father essentially dumped into the care of a guardian. The “chick” part of the plot deals a lot with the two sisters’ ambivalent feelings towards each other and towards their remote and mostly absent father. To be honest, it was this part of the story that kept me from finishing it sooner. On the other hand, the author places the characters and their family angst into an interesting and active time and place in history. One sister is active in the French underground. Her adventures keep the story moving along. The other sister stays at home and mostly just copes with the occupiers and tries to survive and protect her daughter. About half way through the book a crisis involving her best friend forces her to take a more active role in resisting the Germans. Things pick up at that point. There is no equivocating about whom the author considers the good guys and the bad guys. Although one Wehrmacht officer is depicted as a decent human being, the remaining Germans are painted as purely evil. The entire World War II story is told as a flash-back as one of the sisters is remembering it in 1995. You don’t know which sister is the modern character, and I won’t spoil it for you. I had one major complaint with the book, and it was one I repeated to Mrs. P several times. I wish the author had taken a little more care with the history in which she has planted her story. Time after time she describes war-related events that, if not totally impossible, were at least highly improbable. She has characters discussing how the war was going badly for the Germans in North Africa before they really were. She has one of the sisters smuggling downed American fliers out of France months before Americans actually began any kind of aerial activity. (There were American fliers in the RAF, so this isn’t totally impossible, just unlikely.) She has an American Mustang (Hannah makes a point of saying it is a Mustang.) shot down while strafing a German airfield in the middle of the night She places this a good year before Mustangs were used in any numbers. And no one was strafing airfields at night any way. It’s night, so the pilots can’t see what they are doing. They also risk flying into the ground or into trees while making low-level passes. In summary, The Nightingale isn’t bad. I’m not sorry I took the time to read it. However, I think it will appeal more to readers who enjoy stories about women’s feelings and relationships (Mrs. Poolman, for instance), rather than those who prefer a more action-focused plot.